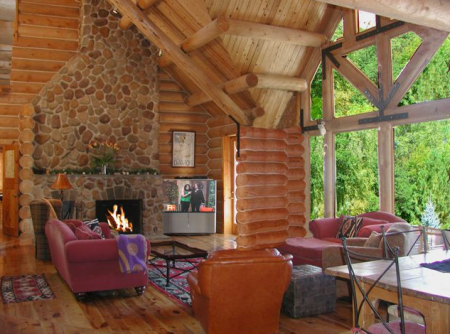 El Salto Log Compound is one of Premiere's largest properties sleeping 18 guests in 8 bedrooms (includes 2 lofts) and 6.5 bathrooms. 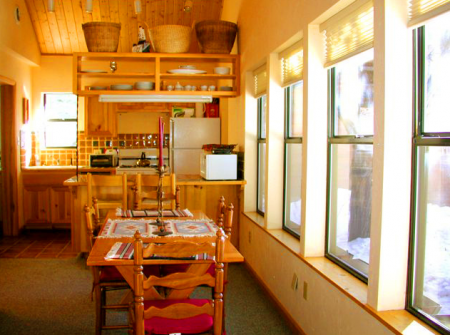 The compound boasts 2 hot tubs, 3 kitchens, 3 living rooms, 2 large flat screen TV's and one standard flat screen TV. 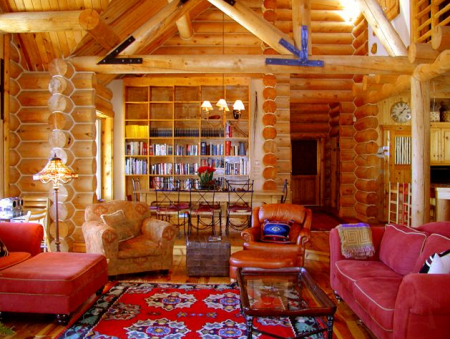 The awesome design and architecture of El Salto the log home sends guests home with a most memorable vacation stay and a once in a lifetime opportunity to experience an authentic log home. 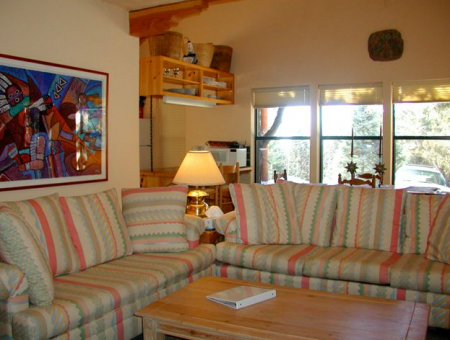 The Guest Cabin (located next to El Salto Log Home) and Private Cabin (nestled by itself at bottom of tree protected drive) offer efficient separation for large groups wanting to stay "together" with a sense of privacy and togetherness all at once. 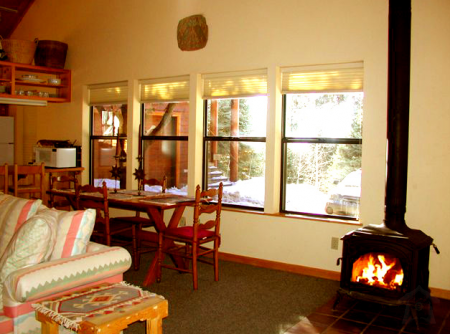 The guest house proximity to the log home makes it a perfect separation for children and teens to have their own space to watch big screen TV and play table games for day time and early evening recreation. 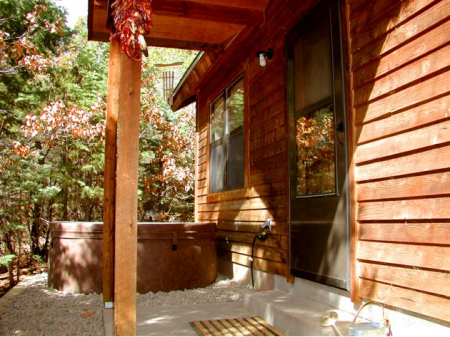 Two hot tubs means most everyone who wants to soak will find hot tub space at any given time. 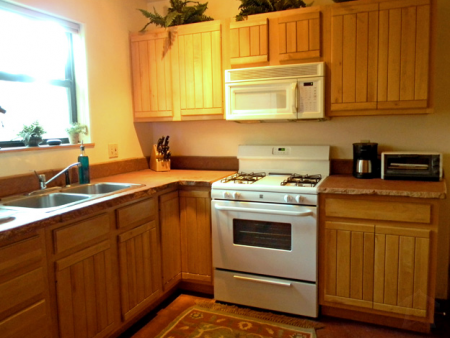 The luxury of 3 kitchens means that separate families can separately prepare food and convene for group meals. 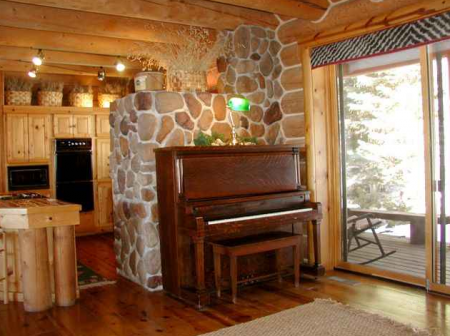 A piano in in place as an added attraction for groups - there is always someone who plays the piano and always many who love to sing along with a piano player. 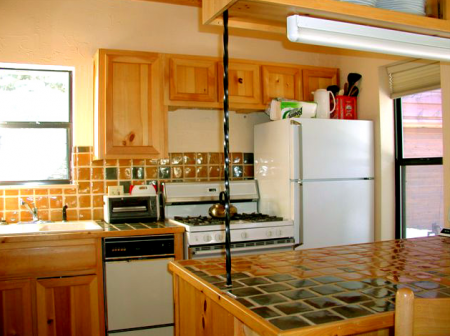 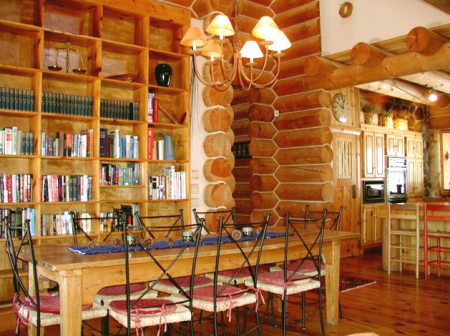 This Taos cabin, guest house and log home vacation spot is a gem of a find in the Premiere Properties Taos Vacation Rentals inventory. 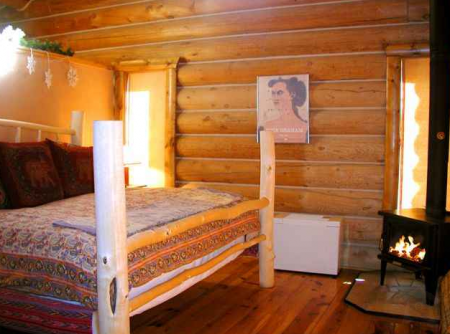 We promise, you will run home and delight friends and family with photos and tales of your Taos lodging experience at El Salto Log Home Compound.